Somebody please pick my jaw, lips and teeth off the floor! I was SO IMPRESSED with Benefit's Sample Skincare Collection, that I just purchased full-size bottles of everything (except one item). I've seen Benefit's skincare products, but I never purchased them because I have this love/hate with their makeup! Either I love it or I don't! So I was NOT going to take a risk with their skincare line (plus it's pricey). Well Benefit came out with a Limited Edition INTRO skincare kit so you could try their products. I purchased it and took it with me to Beau Rivage. It blew me away. Here's my review! Below is my rating scale! All SIX skincare products come in a THICK, clear plastic zippered pouch. Nothing fancy, but very nice and thoughtful for a sample kit. A pamphlet tells you about each product and also gives you directions for use. For SAMPLE packaging, aren't these BEAUTIFUL!?! You should see the FULL SIZE! I'll post on Instagram, when I receive them. 1. 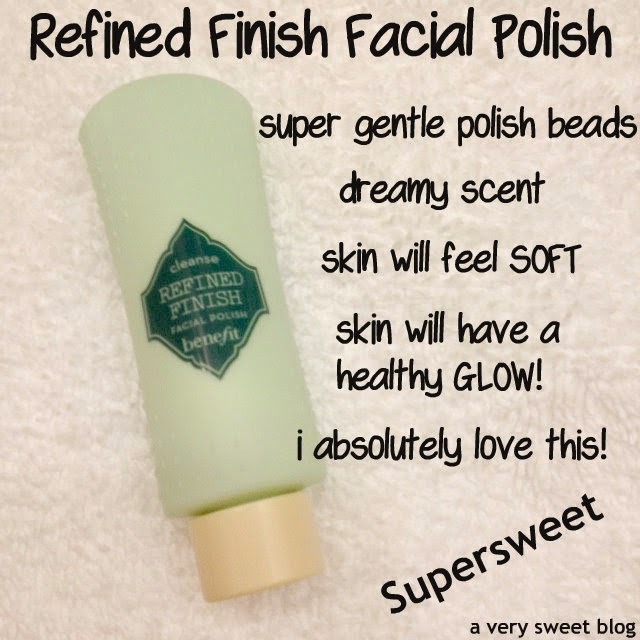 Refined Finish Facial Polish - So gentle! It has little beads, but they are not harsh. Your skin will feel so good after using this. I promise you, your face will feel soft and glowing. I love it! I also love the scent! And I hate scented products. All of these smell so fresh, dreamy and heavenly! I suggest using this 1-2 times a week (more if you don't have sensitive skin). 2. Foamingly Clean Facial Wash - Excellent cleanser! My skin felt very clean and moisturized! Some cleansers dry you out and you're running to the moisturizer. Not this! Your skin feels moisturized, but in a good way (not heavy, greasy etc). It removed makeup well. 3. 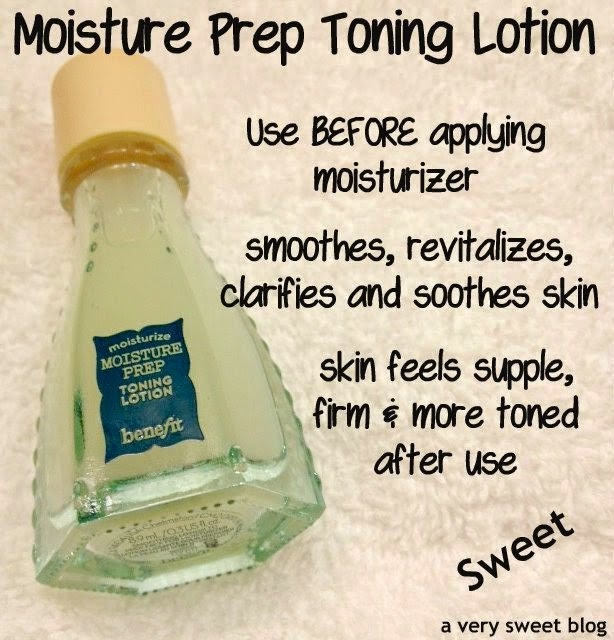 Moisture Prep Toning Lotion - At first, I was like YEAH...RIGHT!?! I don't NEED this! But guess what? It really complimented my skin, when I applied the moisturizer afterwards. My skin felt more toned and firm. Usually when I hear lotion for the face, I run away. It usually means HEAVY, but this wasn't. 4. 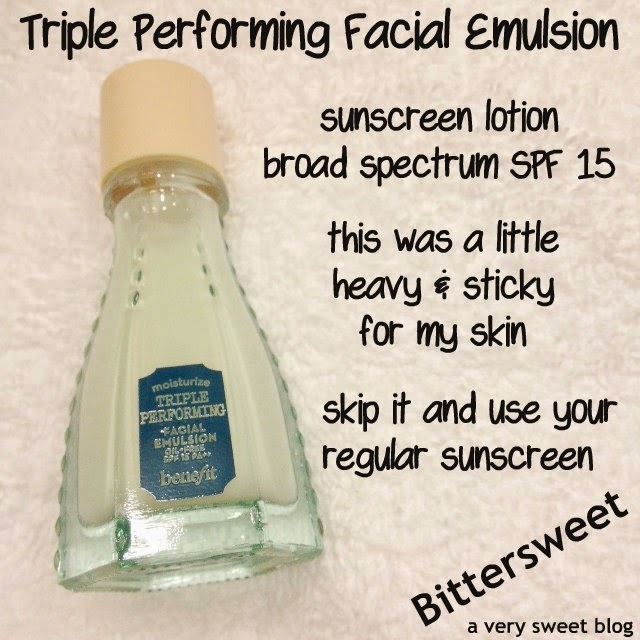 Triple Performing Facial Emulsion - Didn't care for this. I found it to be heavy and a little on the sticky side. I say skip it and just use whatever Sunscreen you already use on your face. 5. 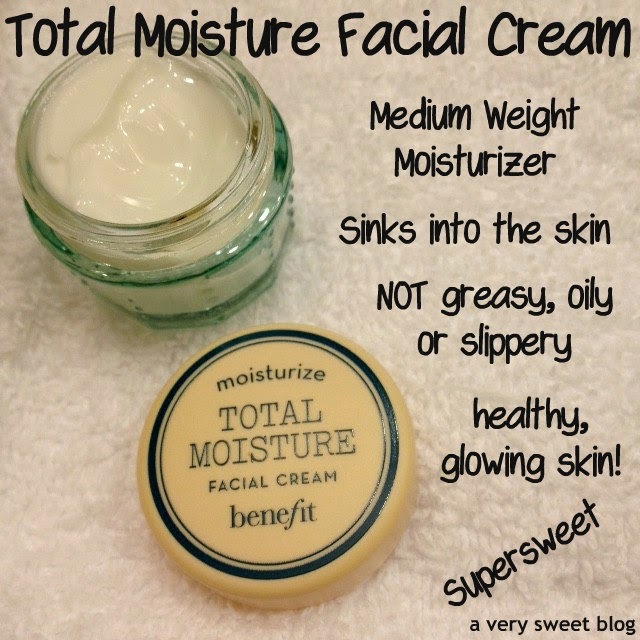 Total Moisture Facial Cream - I love this moisturizer. It's not too light. It's not too heavy. It's a medium weight, that's great for day (apply lightly) and night (apply generously). Not greasy. Not sticky. It absorbs into the skin well and leaves a nice glow. I have SUPER DRY skin, so it drank it up! Sluuurp! 6. It's Potent! 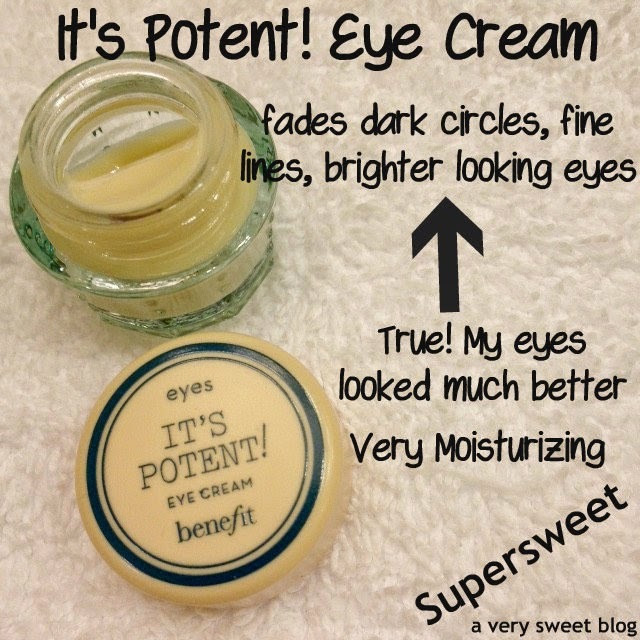 Eye Cream - Use an eye cream! No matter how old you are! You will be thankful as you get older. I don't suffer from really dark circles, but sometimes I can get dark/tired under the eyes. I'm also now developing those little fine lines. I really saw a difference after using this and I haven't been using it for long. It's definitely a winner in my book. So those are my thoughts! This intro skincare kit is LIMITED EDITION, so I don't know how long it will be around. But I don't think you can go wrong with this. Buy the sampler, test it out (BEFORE committing to the FULL SIZE bottles and come back here to tell me how you liked it or what worked / didn't work for you. My giveaway is below! I know, it wasn't going to be a giveaway, but I'm really impressed. It's open worldwide! A Very Sweet Blog is NOT responsible for any adverse skin, health or mental reactions ;). Good luck! Remember to use Ebates to get cash back on your online purchases! Nice giveaway? Can I enter even if I am from germany? A wonderful set, but I am from Germany and not sure if it is possible to take part. If not, please "delete" my entry. 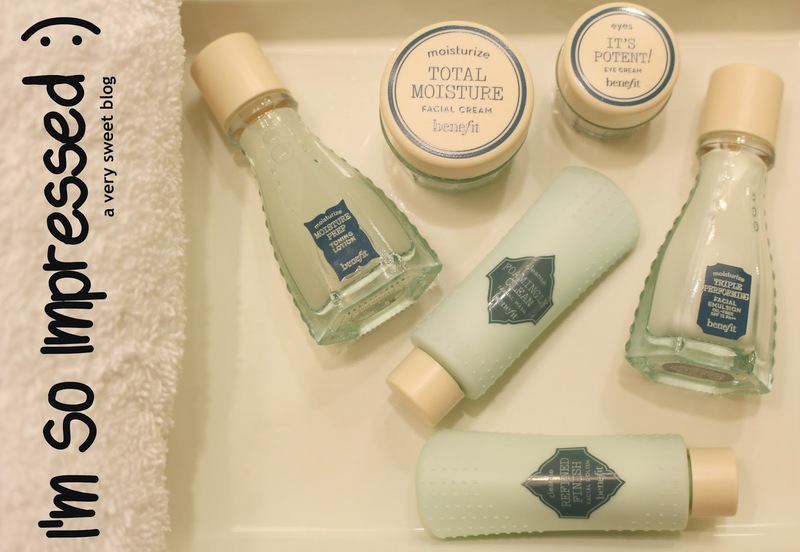 love the packaging on those bottles...definitely ones for the vanity! What a great product and the packaging is so pretty great review and giveaway and yes I did join doll. Best of luck to all of us. Great review and products. Entered and have a blessed day, Beautiful. The eye cream sounds wonderful - I'm always needing eye cream now it really makes a difference if I'm too tired to put it on in the evenings...haha. Looks great! I actually just ran out and have been on the hunt, so this would be lovely! These products look great. Thank you for the review and the giveaway! 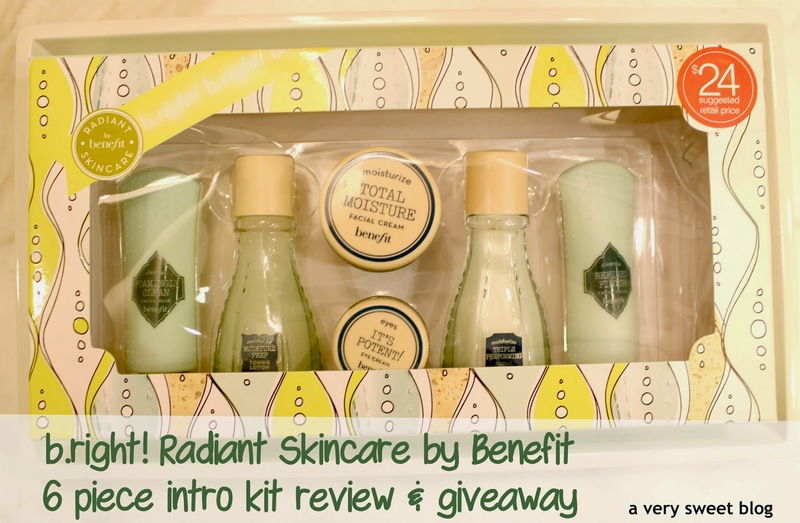 this skincare kit sounds awesome, especially since you are so impressed with it :) I entered the giveaway, hope I win! Oh wow! Thanks for the heads up on this kit, Kim. I've always like Benefit makeup, and had no clue they're delving into skin care now. Yay! What a great and detailed review! I think it's also great as a Christmas gift! It looks amazing! Thank you so much for sharing! All of these sound awesome~ And thank you so much for the giveaway! I think I need that eye cream asap. My eyes look so tired all the time. lol. What a complete kit, you're so lucky!! Sounds awesome! it would be great for traveling, too! Always nice to hear when a set blows you away, and I know if you say it's good, then it's good! I've never used an eye cream, though perhaps I should start! Great give away! lovely product and nice size for travelling. What a cute set, it looks very nice! I like the samples, because let me try the product before buying it and see if it suits me, great giveaway Kim! I'm so glad you posted about this Kim because I was getting my brows done last week in SF at Benefit and my skin was really dry. As nicely as possible, the woman doing my brows said, maybe you should try some of our moisturizer for your eyes and then she totally sold me on this sample skin care kit. I was skeptical too because I've never used their face products but I used it all last week and loved it. 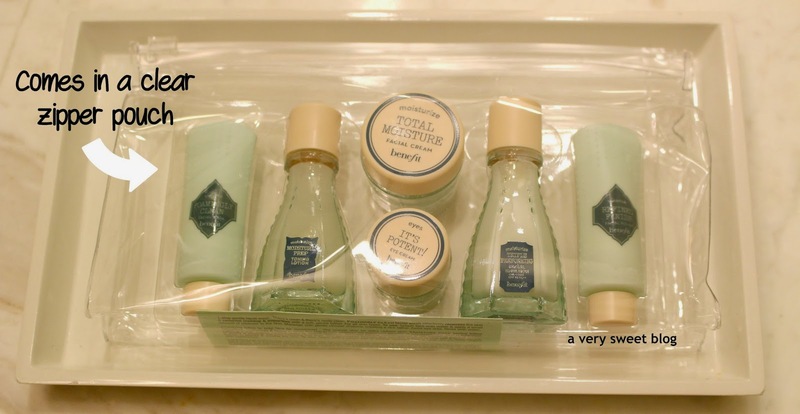 Perfect for travel too and I agree to skip the Emulsion, it was too heavy, but the eye cream, facial cleanser and facial creme were amazing and helped my dry skin instantly. Great giveaway!! Thanks for such a thorough review too! Everything sounds wonderful! I would really like to check out the eye cream, I barely use mine, even though I like it, I just forget for some reason. I'd love to try Benefit's skin care line! Great opportunity to try quite a few products! I've never tried any of Benefit's skincare before and it's good to know that the products in this kit worked so impressively for you Kim. The packaging is pretty cute looking too. Thanks for the giveaway! Wow - this is a glowing review, Kim! No pun intended ;) I used to use a moisturiser from Benefit but it wasn't so fabulous that I bothered to buy it again. It just might be time to give their skincare another try! That packaging is so nice! I would like to try these skincare products! Thanks for the review Kim! If you are impressed - I must say these are definitely worth trying !!! I´m in love with Benefit Skin Care ,wonderful Products! I've always been curious about benefits skin care stuff! I've heard so many great things! Your review totally made me want to try it out! Thanks for the giveaway Kim! Great review and cool giveaway. I have super sensitive skin and haven't had much luck with this brand in the past sadly but I do have a friend who adores all things Benefit! Hello, amazing kit, looks so interesting, thanks for sharing. Okay i am totally sold. I need that eye cream like yesterday :)). So i entered and thanks for the giveaway Kim. Very sweet of you. Wow, this is a great giveaway! I would just love to try out the toner lotion! Sorry, I accidentally clicked on the last entry even though I did not comment on the 24th :( Hoping you can delete my entry there, just wanted to be fair! I could really use the eye cream. Sounds wonderful. Their packaging always draws me in, and this one is no different. Thanks for the thorough review! My skin could so use this, all of it haha. Great review as always!! This skin care set looks so so nice. I'm literally obsessed with my skin care and this would be so amazing to win! I don't think I have ever seen you so excited about a product! Very nice! After reading your review, I wish to be the winner, haha! I would love to win this set it looks great and the package is so cute! Looks like a great variety of products! My skin would benefit from these.